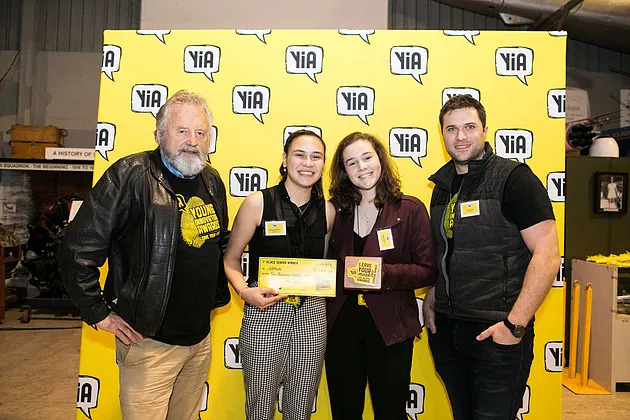 The winners of the 2018 Young Innovator Awards have been announced tonight at a ceremony celebrating the most innovative young minds in the Western Bay of Plenty. The winners were selected from a record breaking 550 entries, from which 79 finalists were chosen, who were today judged by a top notch trio of guest judges including Suan Yeo, Head of Google Education in Australia and New Zealand; Maru Nihoniho, managing director, game producer and designer at Metia Interactive; and Dr Alistair Scarfe, founder and CTO of Robotics Plus. “The motivations of the young people really came through in the entries we’ve looked at today - strong themes of sustainability, health and solving altruistic challenges - they clearly want to tackle these, and that’s really exciting”, said Dr Alistair Scarfe. “We were really impressed by the thought and creativity behind the entries. It’s great to see students identifying and tackling big problems in the world, and also specific challenges in their own lives. It’s great to see them taking the first steps - taking even one step forward, means you’re one step closer to actually making it a reality”, said Maru Nihoniho. “All YiA finalists showed they had really researched and thought about the problem and the customer. I am very impressed by their detailed research and the creative flair they’ve shown in communicating their solution. Most importantly, it looked like they had fun - and enjoyed the learning experience”, said Suan Yeo. YiA is led by Priority One’s Instep Programme with partners Bluelab and Woods Creative.